I am honored to have had some of my favorite wedding ideas and photos from our Real Weddings featured by Bayside Bride’s social media last week! Bayside Bride is the premier wedding blog for the Annapolis area and an amazing resource for engaged couples. If you don’t already follow Bayside Bride, see the links below to join them on social media! 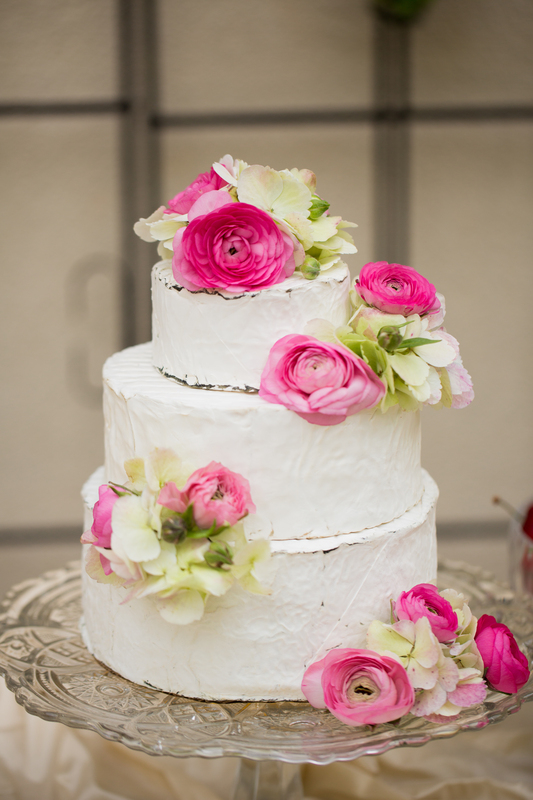 A non-wedding cake dessert table is a popular and fun idea for couples that want something different. Pair this with fresh fruit, nuts, honey and compotes for a cheese course that will have guests deliciously satisfied. 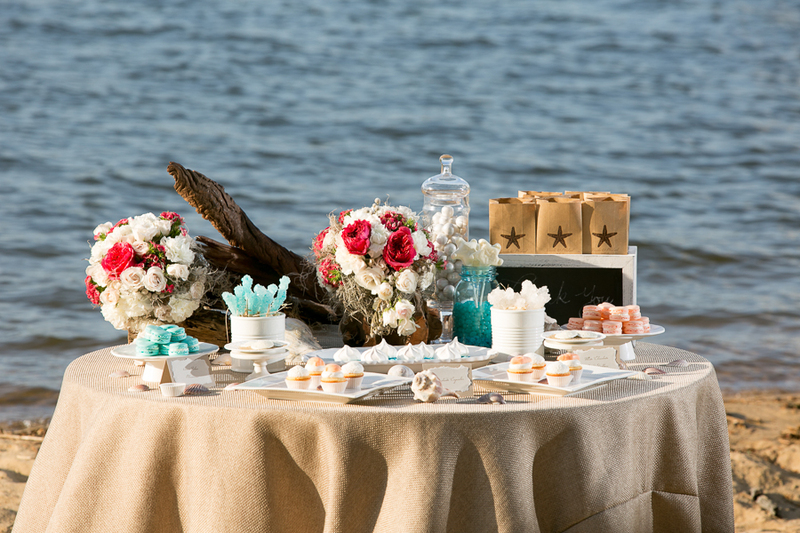 In lieu of favors that guests will leave behind, opt for a mini dessert table with take-home bags for guests. This is one of my favorite table designs and it shows that you don’t have to do something bold to obtain that wow-factor. 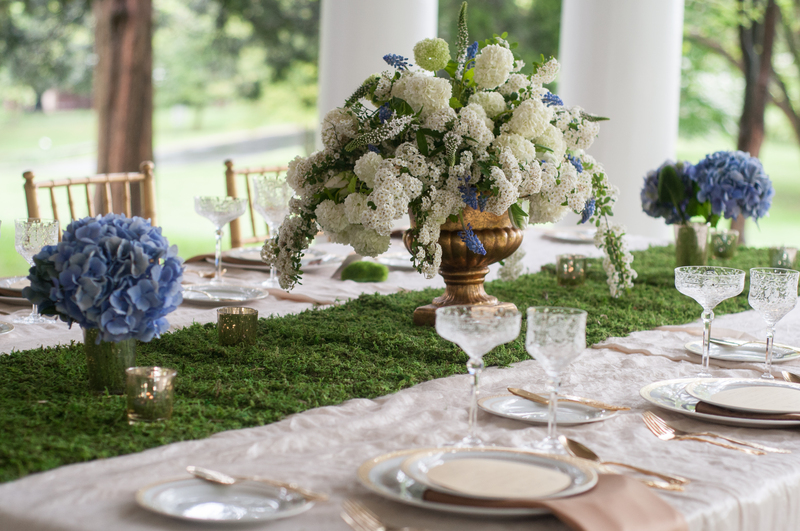 The combination of moss with white and blue hydrangea and the gold details is elegant and stunning. 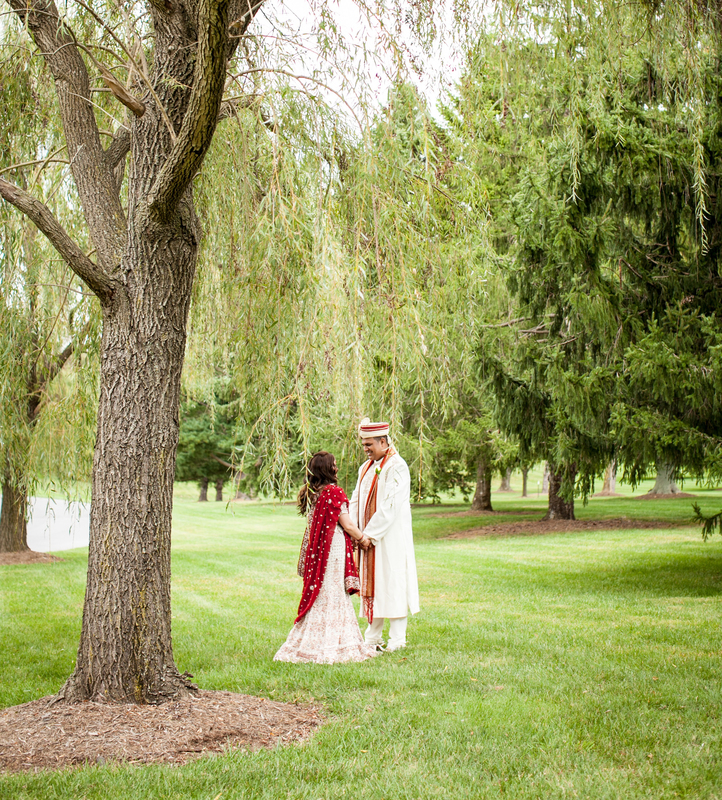 I loved working with Kathlynn and Nishan to plan their Hindu-Christian wedding last Fall at The Bolger Center in Potomac, MD. Kathlynn’s favorite spot was by this weeping willow tree and where they had their first look! 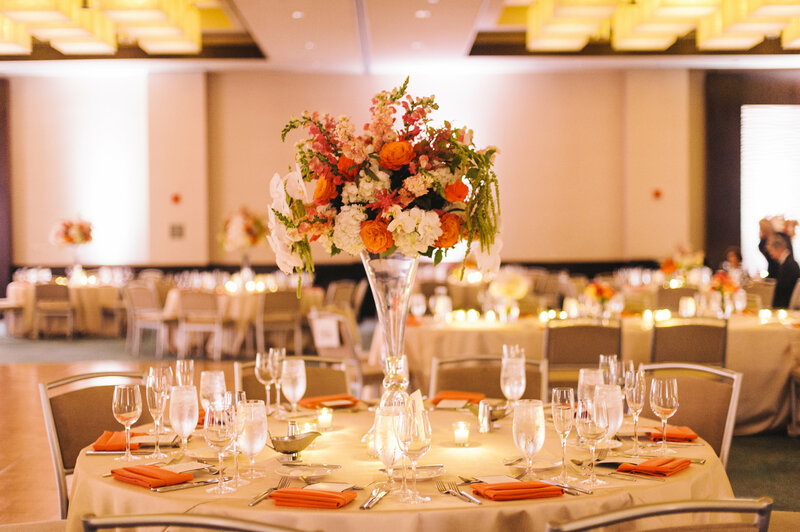 It’s a great idea to incorporate a mix of high and low centerpieces; it helps break up the room and adds sophistication. 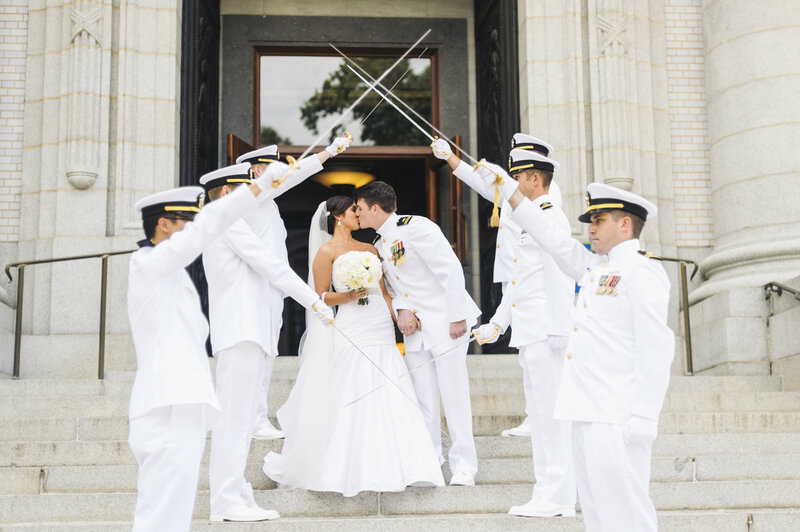 I love the traditions included in a Navy Wedding. This was a really beautiful wedding and a great couple! Julie and Adam wanted to incorporate their love of canoeing and the outdoors into their wedding. 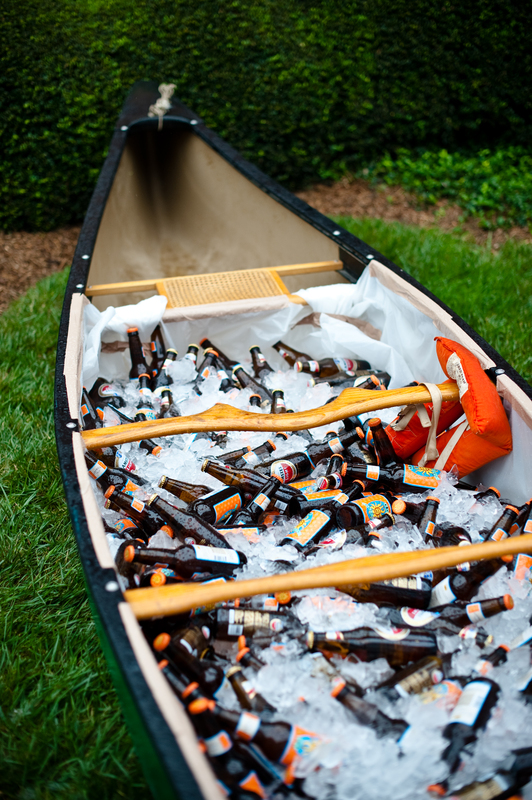 This canoe filled with ice and beer was a great idea, in addition to a full bar during their cocktail hour. 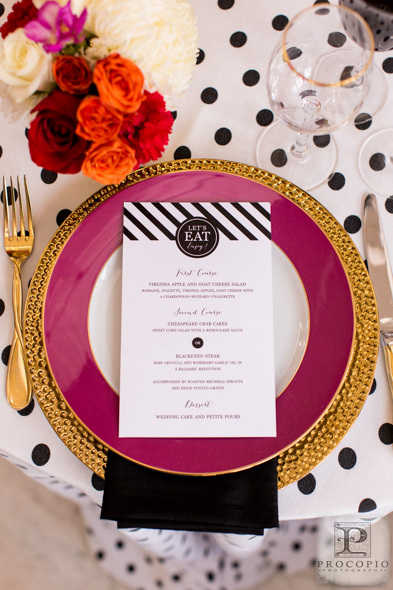 Kate Spade is known for creating bold and bright patterns that are chic and modern. I love translating this inspiration for my clients.